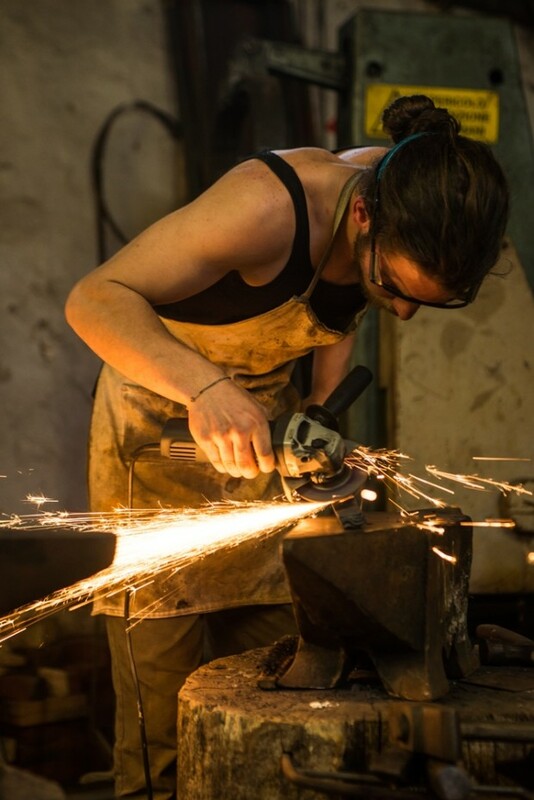 Bladesmith Oliver Goldschmidt pursues his passion creating knives. Oliver was born and raised in the countryside just outside Florence (Italy), surrounded by a culture based on art, handcraft, beauty and food. At age 15 he started exploring the knife-making world, and created his first knifes with his home-built carbon coke forge and a piece of railroad track as an anvil. Thrilled with the results of his first attempts, he bought some good books on bladesmithing and explored the Internet. Knife making was rapidly becoming a real interest. Digging deeper in his researches he came across amazing forging techniques, and started practicing them. However, even if knife making had become a true passion, Oliver soon came to realize that Patience was going to have to be his best friend, and Mistakes his greatest teacher. In the meantime, Oliver was studying in an Art School in Florence (Istituto d’Arte di Firenze), where he was specialising in goldsmithing. In his last year he won a scholarship to attend Minneapolis College of Art & Design for a semester, which became a very enriching experience. That same year he concluded his studies with full marks and became a certified goldsmith. Although he did not carry on to work as a goldsmith he applies the same attention to detail and aesthetics to his knives as he would to a piece of jewellery. With the years, piece by piece, he has created his own workshop and is still adding tools as he goes on. 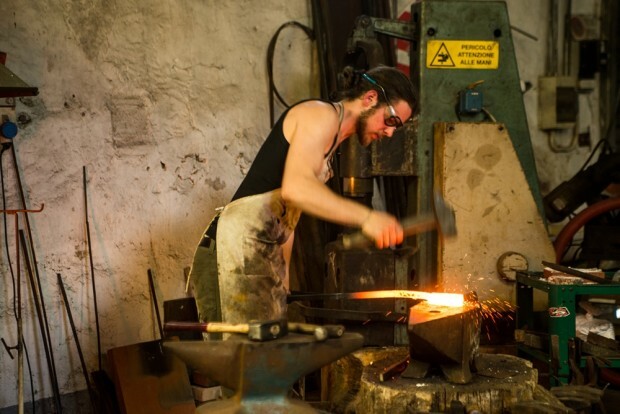 Today, he pursues his passion, learning from each and every knife, and is always ready to challenge himself by experimenting with new techniques. Early last year Oliver became a hot air balloon pilot, and following in his father’s footsteps by chasing another of his passions, he joined his company “Tuscany Ballooning”. He now divides his days by piloting balloons over the magical Tuscan countryside early in the morning, and crafting knives in his workshop after a great start to the day. Oliver lives a life that many would dream of. He does what he loves and what makes him passionate. His love and dedication shows in every knife he creates.